This Halloween, Americans are doling out a lot of money — a record $9.1 billion on costumes, candy and decorations, according to the National Retail Federation. That works out to be $86 per person. 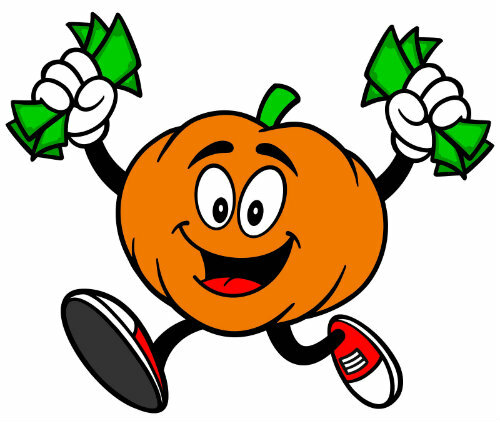 Meantime, a survey from LendEDU says the average American will spend double that amount, or $170, to celebrate Halloween. But even as Halloween spending hits an all-time high, many people are also dealing with some pretty scary circumstances. Here are 4 frightening financial facts confronting many of us – and what you can do to fix these spooky money matters that may be haunting you. According to a study from the Corporation for Enterprise Development, nearly 6 out of 10 adults in the U.S. suffer from so-called “subprime” credit — meaning their credit scores are less than 620 points. A “good” credit score is 700 or better. Lynnette’s Fix: If you have a low FICO credit score, double-check your credit reports for mistakes and dispute errors with the credit bureaus. A whopping 70% of consumer credit files contain errors; that should send shudders down your back! Also, stay on top of your credit rating by using sites like CreditSesame.com, where you can get free credit scores each month, along with free tips and advice on how to improve your credit health. As scary as it sounds, credit card debt in America is even worse now than it was during the Great Recession. The Federal Reserve Bank says there’s now a record $1 trillion in total credit card debt nationwide. With the average credit card debt of about $10,000 per U.S. household, too many people are living on plastic. All that excessive debt weighs down your credit score and makes it hard to save money. Lynnette’s Fix: If possible, double or even triple your credit card payments; if that’s not possible pay what you can, even if it’s $10 or $25 above the minimum payments. But don’t just make minimum payments. That’s a dark financial trap that can keep you in debt for years. To optimize your credit card payments, start using a new service called Earnup. It’s an online platform that intelligently automates your credit card and other loan payments. Earnup analyzes your finances, then automatically withdraws money from your account on your payday or when you can afford to make loan payments. Earnup also breaks down your expenses into bite-sized payments so you never miss a bill. Earnup normally costs $9.95 a month, but under a partnership with Freddie Mac announced in October 2017, consumers can get a year of Earnup free of charge. Forget about saving for future goals, like retirement or a child’s college education. Research from the Center for Financial Services Innovation shows that most adults in the U.S. don’t even have $500 in current savings to handle emergencies. So when unexpected event occurs, many people have to whip out a credit card, borrow from family members, or even worse, take out payday loans — which have scary high interest rates of 300% or more! Lynnette’s Fix: Jumpstart your savings by selling stuff you don’t want, need or use – especially electronics. Sites like Decluttr.com buy back all kinds of tech gadgets, like smartphones, cameras and game consoles. You can ship those items free to Decluttr, get paid the day after they receive your items, and net $500 or more to fund an emergency cash cushion. Another strategy: sign up for an app called Digit, which automates your savings and uses text messaging to keep you updated about your savings. Digit works by calculating the perfect amount of money to set aside every day — based on your unique income and spending — and then automatically saving it for you. Digit is free for the first 100 days; then it’s $2.99 per month. Nobody likes to think about his or her own mortality. But none of us is going to live forever. We all know this. 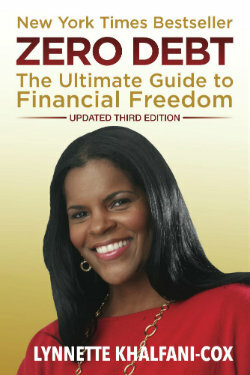 Yet many of us procrastinate when it comes to getting our financial affairs in order. This explains, in large part, why 7 out of 10 adults in this country do not have a last will and testament – including parents who have young kids. Lynnette’s Fix: Stop procrastinating and put this item on your immediate “to do” list. Especially if you’re married or if you have kids or people who depend on you financially, you need to make it a priority to create a basic will. If you can’t afford to pay a lawyer to draw up a will, you can create a last will and testament very affordably online or even free right from your smartphone. Sites like Nolo.com charge only $69.99 for a basic online will. Just be sure to print and sign your online will, get a witness to sign it, and get it notarized by a local notary public. Even better: a new app called Tomorrow lets you create a will at absolutely no cost right from your iPhone or Android device.